The Logistics Broker - 3 Last-Mile Trends You Should Be Excited About. 3 Last-Mile Trends You Should Be Excited About. This year, online retail sales will approach the $500 billion mark, reflecting another double digit increase in online sales growth and yet another knock at the door of carriers looking to solve “The Last Mile.” In my head, I start to hear the song For Whom the Bell Tolls. The Last Mile accounts for roughly 28% of total delivery cost. As long as consumers expect more in less time and margins are razor thin for carriers, The Last Mile will be an ongoing opportunity for carriers and manufacturers to differentiate themselves from the competition. This is especially true when it comes to large scale platforms (i.e. Wal-mart, Target, Amazon, etc.) that facilitate the sale of commoditized products. In this post I’ve outlined some updates and trends you might keep in mind as we continue to watch the last leg of a product’s trip from producer to consumer. Broken down into its basic parts, The Last Mile is made up of customers, merchants and delivery providers. The problem is that each of these groups comes with their own set of expectations for delivery speed, service, cost and visibility. None of which will be completely satisfied in any scenario. The closer we come to solving The Last Mile, the farther our horizon for success moves out as new issues and developments arise. Customers – Omnichannel capability is a must for acquiring consumers. The problem – consumers don’t want to pay for it. There isn’t a real “go around” for commoditized products that are sold on a large scale (e.g. paper towels, dry goods, household staples). Niche products/brands have gotten around this by selling their products to their “fan” customers on Amazon or third party platform if drop shipping doesn’t make sense. Merchants – They often get blamed for not getting products to the destination on time, but it’s not always their fault, especially where seasonal peaks are involved. Merchant flexibility is still expected despite peak times and costs which has led to changes in the way products are packaged and shipped out. Poor packaging can instigate higher return rate which can bottleneck your resources. Traditional – (FedEx, UPS, USPS, DHL). USPS has a unique infrastructure compared to other top carriers, and they tend to fair much better with individualized and unique deliveries to high and low density residential markets. It’s a good thing too, since USPS has struggled since paper mail volume and frequency continue to decline. Other carriers are trying to emulate a residential delivery process/system similar to USPS to avoid crunch on margins and exploit a customer dense model. 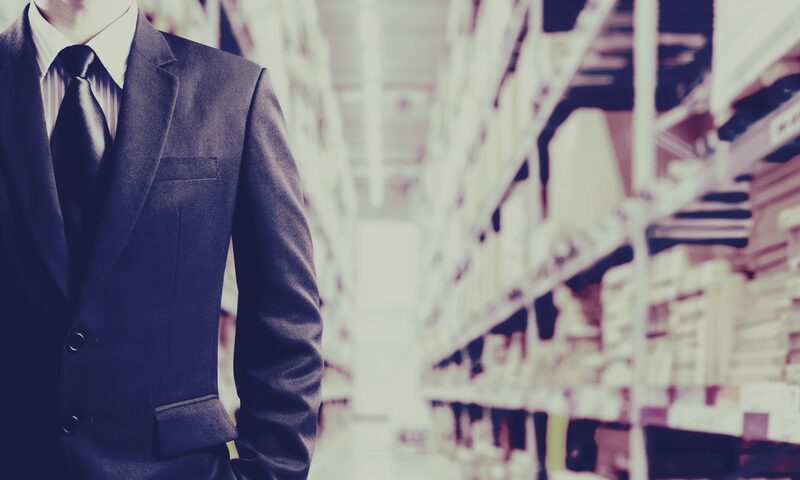 3PL Partnerships – Carriers and manufacturers have begun partnering with local/regional third party logistics and fulfillment providers to manage The Last Mile, but this still proves difficult for high volume, time sensitive, and repetitive product sales. You should expect to see public drop off points inserted into existing buildings and infrastructure to accommodate carriers partnering with 3PLs. Crowdsourcing/Gig Economy – Companies like Google, Uber, UberEats, Instacart, TaskRabbit, and Postmates outsource their logistics to the masses. Before drones take over, I expect what used to be your son/daughter’s “paper route” will become your teenager’s summer gig as a freelance Uber driver, food delivery and yard worker. Seller arranged delivery: Seller works with partners and splits up the route (outsourcing delivery) based on each company’s strengths. Insourcing – See this article on how Amazon began “insourcing” its Fleet of trailers in December 2015. Intermediary arranged delivery: Companies offer goods from multiple sellers, intermediary buys/picks up on customer behalf and arranges an appropriate time/place for delivery (see UberEats, Instacart, and Postmates). Buyer arranged pick up: Brick and mortar stores offer this already in most cases. Depending on the size of the store and stock cost, this makes a lot of sense. I made a case for the the retailer’s stockroom here – let me know what you think. This method seems to make more sense, and if run properly, it could be more accurate, faster, and cheaper. This would prove to be a major advantage for companies with brick and mortar stores already in place (enter Target, Walmart, DSW, etc.). Delivery Robots: This technology is still being developed and implemented in select markets; mostly the SF Bay area. A couple companies on the forefront of this effort are Starship and Dispatch. 3. What can your community do to streamline The Last Mile? Shift the delivery window: Cities across the globe have begun discussing the requirement for a shift in delivery windows to spans of time with lower traffic volumes to cut down on truck traffic and emissions. Centralized drop off lockers instead of individual deliveries to residential. QuikTrip partnered with Amazon in 2016 to test this out. Cities are also looking at better usage of alleys and curb space to keep traffic lanes open in dense urban areas. Local traffic only. Other traffic routed around to specific delivery/drop off points. Delivery vehicles not allowed in to cut down emissions, air quality and traffic congestion. See how Barcelona is taking back their streets. Encouragement of alternative vehicles (electric, scooters, bikes, etc. for pedestrian and delivery) – Bird Scooters are all over downtown KC now – Also see LimeBike. Cconverting vacant lots and buildings to warehouse/fulfillment space. More city storage will cut down on the amount of traffic coming in and out. Retailers switch from a just in time inventory system to stocking more items in brick and mortar stores. It seems you’d be paying for the space either way, whether it’s space in a truck or more real estate to hold product and less deliveries. What costs more? Green shipping methods (floating product on a river). I grew up in a small riverside town and get very excited about the possibility of someone yelling, “Mark Twain!” from a barge carrying Amazon packages. Look for more trends and developments in The Last Mile later this year. My next article will circle around designing gender neutral spaces. What is your gender IQ when it comes to real estate? I’ve included several articles in the resources section below that go further into The Last Mile. All good reads.